Folate is a form of vitamin B9 that the body needs to maintain red and white blood cells (hematogenesis), convert carbohydrates into energy (metabolism), synthesize and maintain the genetic building blocks of the body (DNA and RNA). A daily intake of folate is also needed to maintain a healthy pregnancy, ensure normal fetal development, and prevent certain serious birth defects. Folate is naturally present in many foods, particularly dark green vegetables, beans, and legumes. There are also vitamin supplements made with a synthetic form of folate known as folic acid. In the United States and around 80 other countries, breakfast cereals, flour, bread, and other foods are fortified with folic acid to prevent folate deficiency within the general population. Although many people use the terms folate and folic acid interchangeably, there are key differences. Folate is immediately converted in the digestive tract into the active form of vitamin B9, called 5-methyl-THF (5-MTHF). By contrast, folic acid needs to enter the bloodstream and be delivered to the liver and other tissues to be converted. Although it was once thought that folic acid was better absorbed than folate, it is metabolized very slowly. Moreover, a lot of the folic acid you consume will remain unmetabolized and linger in the system. In recent years, there have been concerns that excessive accumulation of unmetabolized folic acid may promote tumor growth, although this has yet to be definitively proven. Generally speaking, if you consume enough folate in your diet, you won't need to take a folic acid supplement. Since the majority of folate will be quickly metabolized by the body, the likelihood of accumulation is low. Folate is essential to good health. If you don't get enough from your diet or folic acid supplements, you may develop a folate deficiency. Although this is rare in the United States, there are certain groups that are vulnerable, including pregnant women, infants, and younger children (whose intake may fall short due to their rapid growth). Folate deficiency can also be caused by certain medications (such as metformin, birth control pills, and methotrexate) and in people with severe bleeding, liver disease, malabsorption disorders (like celiac disease), and alcoholism. Consuming enough folate in your diet may help prevent a number of health conditions, including cardiovascular disease, neural tube defects, aging-related macular degeneration, and even some types of cancer. Folate is used by the body to maintain and repair blood vessels. It also helps lower the level of an amino acid called homocysteine that contributes to cardiovascular disease. Homocysteine is created when proteins, mainly from meat, begin to break down. High concentrations of homocysteine can cause the hardening the arteries (atherosclerosis), increasing the risk of heart attacks and stroke. A 2010 study from Japan, which followed 23,119 men and 35,611 women for 14 years, found that a higher dietary intake of folate and vitamin B12 corresponded to a lower risk of death from stroke, coronary heart disease, and heart failure. A similar study from the University of North Carolina found that young adults with the highest dietary intake of folate generally had a lower risk of high blood pressure—a key contributor to heart disease—later in life. Neural tube defects (NDTs) are birth defects of the brain or spinal cord that typically occur during the first month of pregnancy. The two most common NDTs are spina bifida and anencephaly. Inadequate levels of folate and vitamin B12 during pregnancy are known to increase the risk of NDTs. Of the two, folate deficiency is much more common and therefore more of a concern. Because an NDT can occur before you even know that you are pregnant, it is essential that you maintain good dietary habits at all times, including the ample intake of folate. This is especially true if you in your reproductive years and are vulnerable to folate deficiency. To further reduce the risk of NDT, doctors will routinely recommend folate supplements along with a daily multivitamin during pregnancy. Other health experts will advise women of childbearing age take a daily 0.4-milligram (400-microgram) folic acid supplement. A 2016 study in the Amerian Journal of Public Health concluded that an adequate intake of folate, either through diet, supplementation, or fortification, reduced the risk of spina bifida by around 30 percent worldwide. A 2012 analysis from China further reported that folate supplementation during pregnancy reduced the risk of congenital heart defects by no less than 28 percent. Aging-related macular generation (AMD) is an eye disorder characterized by the progressive loss of the center of the field of vision. The underlying cause of macular AMD is not well understood, although some scientists believe that it is the result of inflammation and oxidative stresses placed on the eyes over a lifetime. 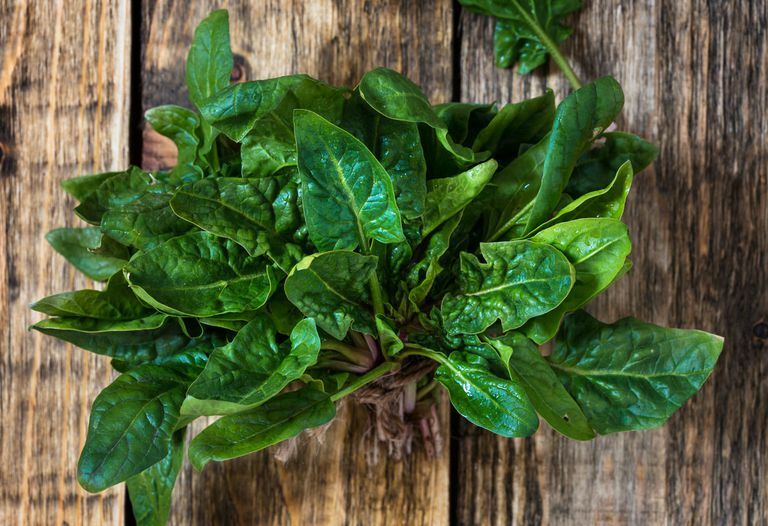 A 2013 study from Australia, evaluating the medical files of 1,760 adults with AMD over 10 years, concluded that folate deficiency increased the risk of early AMD by 79 percent. Moreover, for every one standard deviation (SD) rise in homocysteine levels, the risk of AMD increased by 33 percent. By contrast, taking 2,500 micrograms (mcg) of folic acid per day reduced the risk of AMD by 34.7 percent, according to research from Women's Antioxidant and Folic Acid Cardiovascular Study (WAFACS). Can Beta-Carotine Prevent Macular Degeneration? Folate has a contradictory relationship with cancer. On the one hand, the chronically insufficient intake of folate may increase the risk of brain, breast, cervical, colorectal, lung, ovarian, pancreas, and prostate cancers. On the other, the excessive intake of folic acid may increase the risk of certain cancers, mainly prostate cancer. There is some evidence that the high intake of dietary folate may significantly reduce the risk of certain cancers, particularly those in women. A 2014 review of studies, involving 16 clinical trials and 777,273 women, reported that the daily intake of between 153 mcg and 400 mcg of dietary folate significantly decreased the risk of breast cancer. Interestingly, a daily intake of over 400 mcg was not associated with a decreased risk when compared to women who took less than 153 mcg. Other studies have seen similar benefits with ovarian and cervical cancers. As an essential nutrient sourced from food, folate is not associated with side effects or risks. In the end, you cannot get too much folate from the foods you eat. The same cannot be said of folic acid, which may cause abdominal cramps, insomnia, nausea, diarrhea, and permanent nerve damage if overconsumed. How do you know if you have folate deficiency? Signs of folate deficiency are often subtle. Unexplained fatigue and weakness are often the first signs. It is usually only after symptoms are severe that folate deficiency anemia is diagnosed. It differentiated from other types of anemia in that the reduced red blood cell count will be accompanied by the appearance of large, misshapen, immature red blood cells called megaloblasts. Atta, C.; Fiest, K.; Frolkis, A. et al. Global Birth Prevalence of Spina Bifida by Folic Acid Fortification Status: A Systematic Review and Meta-Analysis. Am J Public Health. 2016 Jan;106(1):e24-34. DOI: 10.2105/AJPH.2015.302902. Chen, P.; Li, C.; Li, X. et al. Higher dietary folate intake reduces the breast cancer risk: a systematic review and meta-analysis. Br J Cancer. 2014 Apr 29;110(9):2327-38. DOI: 10.1038/bjc.2014.155. Christen, W.; Glynn, R.; Chew, E. et al. Folic acid, pyridoxine, and cyanocobalamin combination treatment and age-related macular degeneration in women: the Women's Antioxidant and Folic Acid Cardiovascular Study. Arch Intern Med. 2009;169(4):335-41. DOI: 10.1001/archinternmed.2008.574. Cui, R.; Iso, H.; Date, C. et al. Dietary folate and vitamin b6 and B12 intake in relation to mortality from cardiovascular diseases: Japan collaborative cohort study. Stroke. 2010 Jun;41(6):1285-9. DOI: 10.1161/STROKEAHA.110.578906. Feng, Y.; Wang, S.; Chen, R. et al. Maternal folic acid supplementation and the risk of congenital heart defects in offspring: a meta-analysis of epidemiological observational studies. Sci Rep. 2015 Feb 17;5:8506. DOI: 10.1038/srep08506. Gopinath, B.; Flood, V.; Rochtchina, E. et al. Homocysteine, folate, vitamin B-12, and 10-y incidence of age-related macular degeneration. Am J Clin Nutr. 2013 Jul;98(1):129-35. DOI: 10.3945/ajcn.112.057091. Xun, P.; Liu, K.; Loria, C. et al. Folate intake and incidence of hypertension among American young adults: a 20-y follow-up study. Am J Clin Nutr. 2012 May;95(5):1023–30. DOI: 10.3945/ajcn.111.027250.